My dedication to Marc Jacobs has me buying Diet Coke. I don’t even drink Coke. Even as one who always take the sugar-free, less fat, diet, lite, extra lite and what ever has the least calories option; Diet Coke has never really floated my boat. But celebrating 30 years of the sugarless Brown fizz (Diet Coke) and with Marc Jacobs as the new creative director, I was not about to walk passed these limited edition beauties without picking one or two or three up! 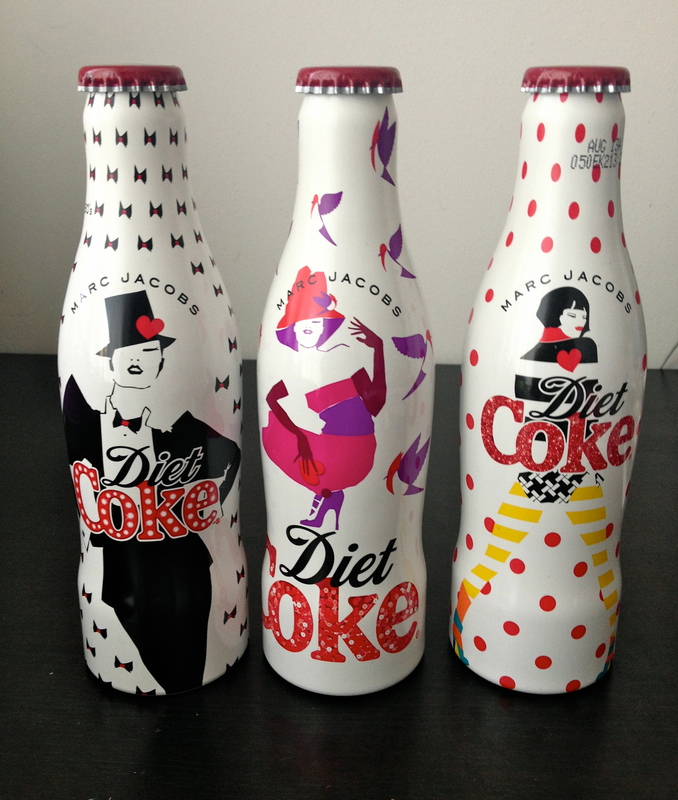 There are 3 different designs, one for each decade that Diet Coke has graced us with its presence; 80s, 90s and 00s. Personally, as a 90s baby, this one is of course my fav and just because its the nicest! You don’t like Marc Jacobs, isn’t it ? ?